Neil Lennon's stance on the Scotland vacancy is believed to have softened. Picture: SNS. in speaking to the Scottish FA about the vacant national team manager’s position. 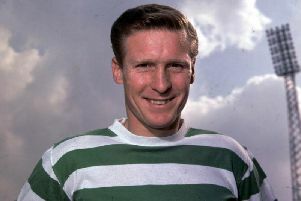 Lennon declined to comment on whether the post would be appealing to him yesterday but it is understood that, privately, the former Celtic boss would be receptive to meeting with Hampden officials should the SFA identify him as a suitable candidate. to Gordon Strachan, who departed the job last October following the failure to reach this summer’s World Cup finals, is continuing after No 1 target Michael O’Neill opted to remain with Northern Ireland. When Strachan’s contract was not renewed after two unsuccessful qualifying attempts, Lennon, at 46 years old, made it clear he was not interested in international management, but it is thought his stance has softened. Ahead of Hibs’ trip to Parkhead today, Celtic manager Brendan Rodgers urged the SFA to pursue Lennon. of the calibre of Brendan talking about you like that, it’s much appreciated. “I’m not canvassing for the job obviously but, from a personal point of view, it means a lot. I’m the Hibs manager, I know the job’s available but there’s been no contact and I’m sure they’ve got umpteen contenders for the job. “I think it’s a very good job. Michael has turned the job down now but that happens. Kilmarnock boss Steve Clarke played down his own link with the Scotland job. The 54-year-old – Ladbrokes Premiership manager of the month for December after an impressive start to his Killie reign – says he is focusing on his current post. He said: “You get quoted because I’m up here and I’m in the public eye in Scotland.